Lenovo становится крупнейшим поставщиком ПК. Не смотря на то что мировой рынок персональных компьютеров, по данным компании IDC, продолжает сокращаться. Ноутбуки Lenovo самые продаваемые мобильные ПК в Украине. Доля ноутбуков Lenovo на украинском рынке 28,5%. Поставки ноутбуков на мировые рынке в первом квартале упали до рекордных 13.7% в годовом исчислении. Продажи планшетов опередят продажу ноутбуков в мире в 2014году. Мнение специалистов IDC. B9440UA-GV0128R Ноутбук ASUS B9440UA (B9440UA-GV0128R) 14', FullHD (1920 х 1080), IPS, Intel Core i7-7500U (2.7-3.5GHz), 16 ГБ, отсутствует, 512 ГБ, Intel HD Graphics 620, No ODD, Bluetooth, Wi-Fi, Windows 10 Pro, 4 cell, 1 кг, Grey 12 мес. B9440UA-GV0142R Ноутбук ASUS B9440UA (B9440UA-GV0142R) 14', FullHD (1920 х 1080), IPS, Intel Core i7-7500U (2.7-3.5GHz), 16 ГБ, отсутствует, 256 ГБ, Intel HD Graphics 620, No ODD, Bluetooth, Wi-Fi, Windows 10 Pro, 4 cell, 1 кг, Grey 12 мес. 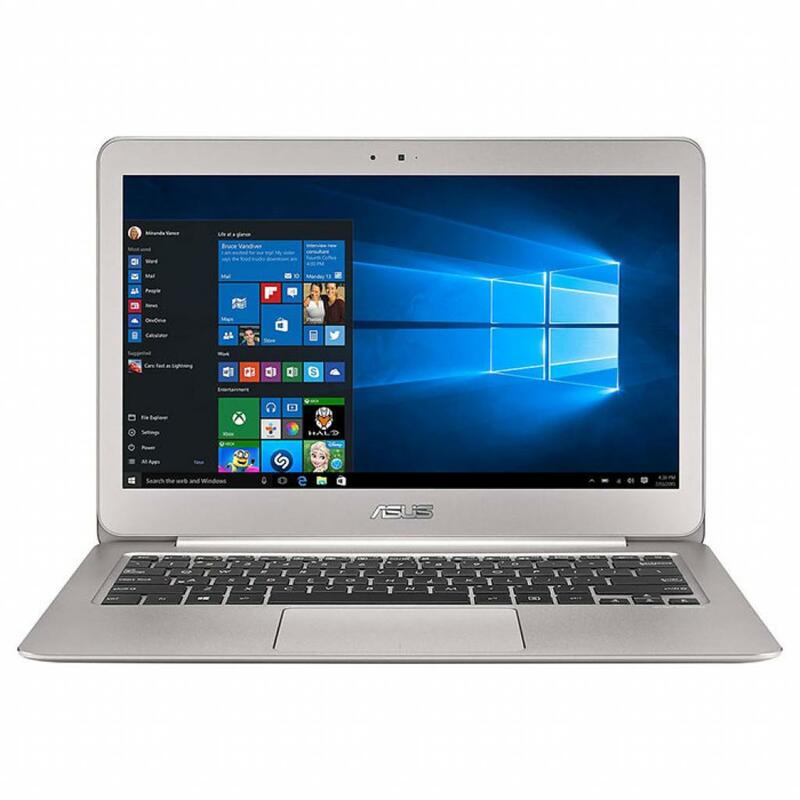 B9440UA-GV0144R Ноутбук ASUS B9440UA (B9440UA-GV0144R) 14', FullHD (1920 х 1080), IPS, Intel Core i7-7600U (2.80-3.90 GHz), 16 ГБ, отсутствует, 512 ГБ, Intel HD Graphics 620, No ODD, Bluetooth, Wi-Fi, Windows 10 Pro, 4 cell, 1 кг, Grey 12 мес. FX503VD-E4022 Ноутбук ASUS FX503VD (FX503VD-E4022) 15.6', FullHD (1920 х 1080), Intel Core i7-7700HQ (2.8 - 3.8 ГГц), 8 ГБ, 1 ТБ, NVIDIA GeForce GTX 1050, 4 ГБ, No ODD, Bluetooth, Wi-Fi, LAN (RJ-45), Endless OS, 4 cell, 2.5 кг, Black 12 мес. FX503VM-E4069 Ноутбук ASUS FX503VM (FX503VM-E4069) 15.6', FullHD (1920 х 1080), Intel Core i7-7700HQ (2.8 - 3.8 ГГц), 8 ГБ, 1 ТБ, NVIDIA Geforce GTX 1060, 6 ГБ, No ODD, Bluetooth, Wi-Fi, LAN (RJ-45), Endless OS, 4 cell, 2.5 кг, Black 12 мес. 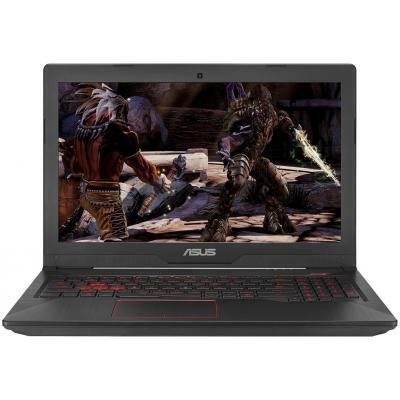 FX553VE-DM331 Ноутбук ASUS FX553VE (FX553VE-DM331) 15.6', FullHD (1920 х 1080), Intel Core i7-7700HQ (2.8 - 3.8 ГГц), 8 ГБ, 1 ТБ, NVIDIA GeForce GTX 1050 Ti, 4 ГБ, No ODD, Bluetooth, Wi-Fi, LAN (RJ-45), Endless OS, 4 cell, 2.5 кг, Black-Red 12 мес. 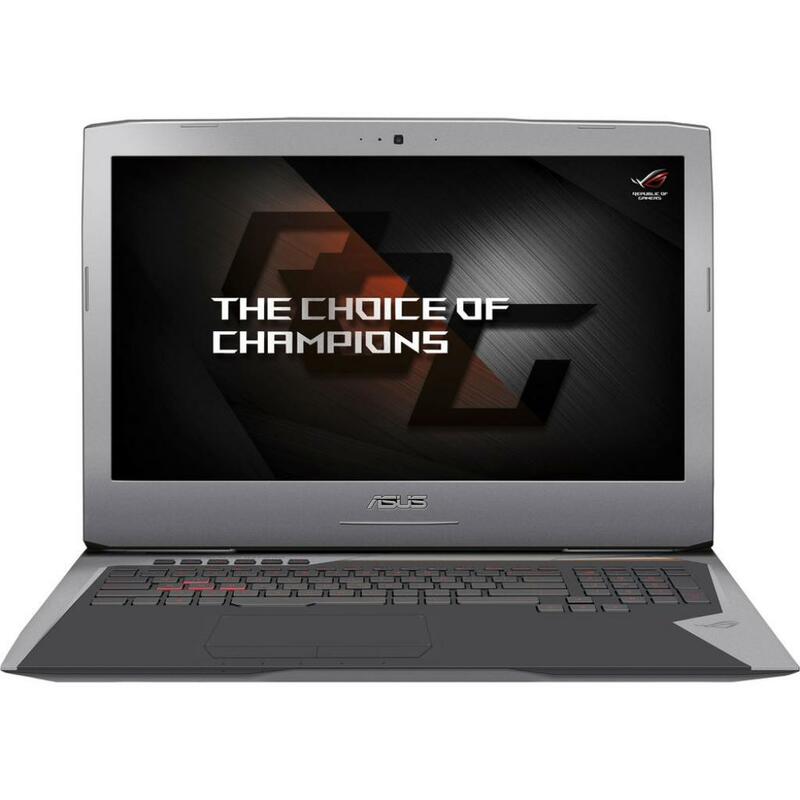 G501JW-FI407T Ноутбук ASUS G501JW (G501JW-FI407T) 15.6', 4К (3840x2160), IPS, Intel Core i7 4750HQ (2.0 - 3.2 ГГц), 16 ГБ, отсутствует, 512 ГБ, NVIDIA GeForce GTX 960M, 4 ГБ, No ODD, Bluetooth, Wi-Fi, Windows 10, 6 cell, 2.0 кг, Black 12 мес. 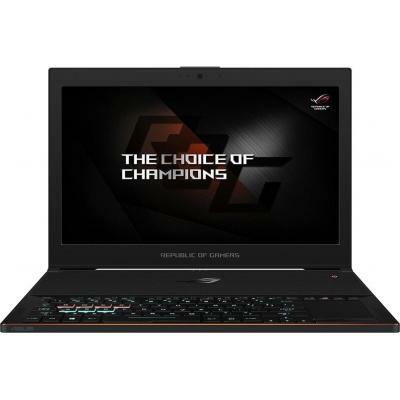 G703VI-GB001T Ноутбук ASUS G703VI (G703VI-GB001T) 17.3', 4К (3840x2160), IPS, Intel Core i7 7820HK (2.9 ГГц), 64 ГБ, 1 ТБ, 512 ГБ, NVIDIA Geforce GTX 1080, 8 ГБ, No ODD, Bluetooth, Wi-Fi, Windows 10, 8 cell, 4.7 кг, Titanium 12 мес. 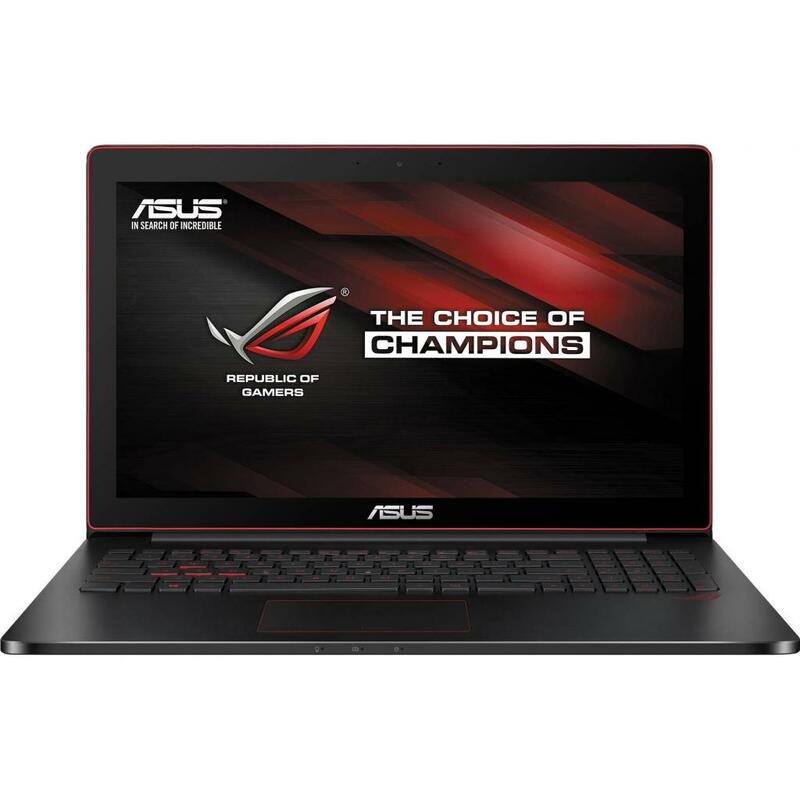 G752VS-BA397T Ноутбук ASUS G752VS (G752VS-BA397T) 17.3', FullHD (1920 х 1080), IPS, Intel Core i7 6700HQ (2.6 - 3.5 ГГц), 32 ГБ, 1 ТБ, 256 ГБ, NVIDIA Geforce GTX 1070, 8 ГБ, DVD±RW, Bluetooth, Wi-Fi, Gigabit Ethernet, Windows 10 Home, 8 cell, 4.4 кг, Grey 12 мес. G752VS-BA448 Ноутбук ASUS G752VS (G752VS-BA448) 17.3', FullHD (1920 х 1080), IPS, Intel Core i7-7700HQ (2.8 - 3.8 ГГц), 32 ГБ, 1 ТБ, 256 ГБ, NVIDIA Geforce GTX 1070, 8 ГБ, DVD±RW, Bluetooth, Wi-Fi, Gigabit Ethernet, Windows 10, 8 cell, 4.4 кг, Grey 12 мес. G752VS-GC129R Ноутбук ASUS G752VS (G752VS-GC129R) 17.3', FullHD (1920 х 1080), IPS, Intel Core i7 6700HQ (2.6 - 3.5 ГГц), 32 ГБ, 1 ТБ, 256 ГБ, NVIDIA Geforce GTX 1070, 8 ГБ, DVD-SMulti, Bluetooth, Wi-Fi, Gigabit Ethernet, Windows 10 Pro, 8 cell, 4.4 кг, G 12 мес. 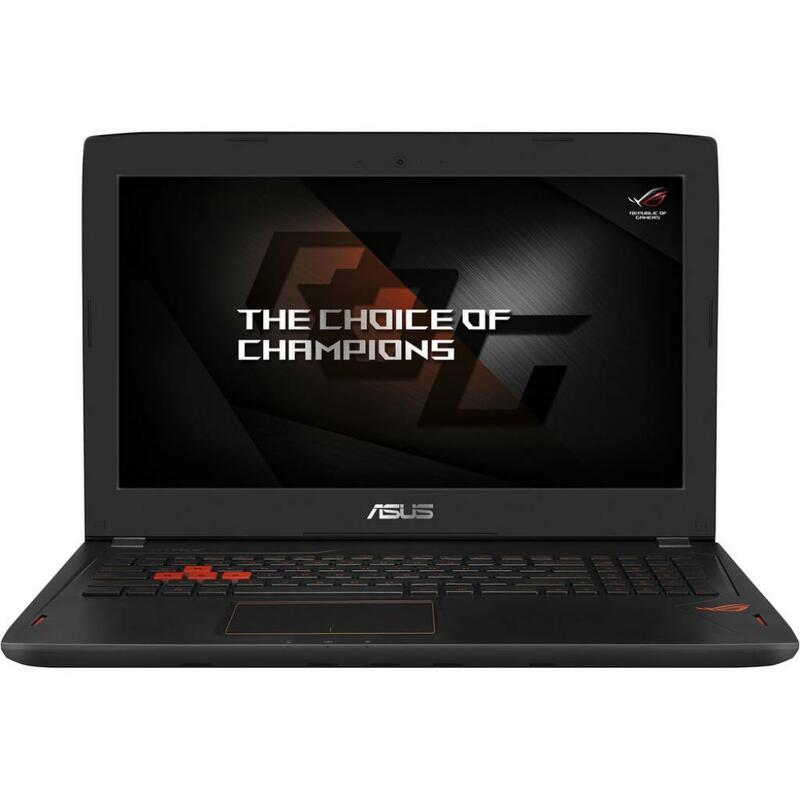 G752VT-GC155R Ноутбук ASUS G752VT (G752VT-GC155R) 17.3', FullHD (1920 х 1080), IPS, Intel Core i7 6700HQ (2.6 - 3.5 ГГц), 16 ГБ, 2 ТБ, 128 ГБ, NVIDIA GeForce GTX 970M, 3 ГБ, DVD-SMulti, Bluetooth, Wi-Fi, Gigabit Ethernet, Windows 10 Pro, 6 cell, 4.3 кг, G 12 мес. 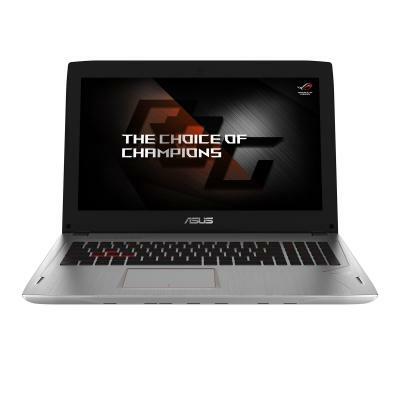 G752VY-GB395R Ноутбук ASUS G752VY (G752VY-GB395R) 17.3', 4К (3840x2160), IPS, Intel Core i7 6820HK (2.7 - 3.6 ГГц), 64 ГБ, 2 ТБ, 512 ГБ, NVIDIA GeForce GTX 980M, 8 ГБ, DVD±RW, Bluetooth, Wi-Fi, Gigabit Ethernet, Windows 10 Pro, 8 cell, 4.6 кг, Grey 12 мес. 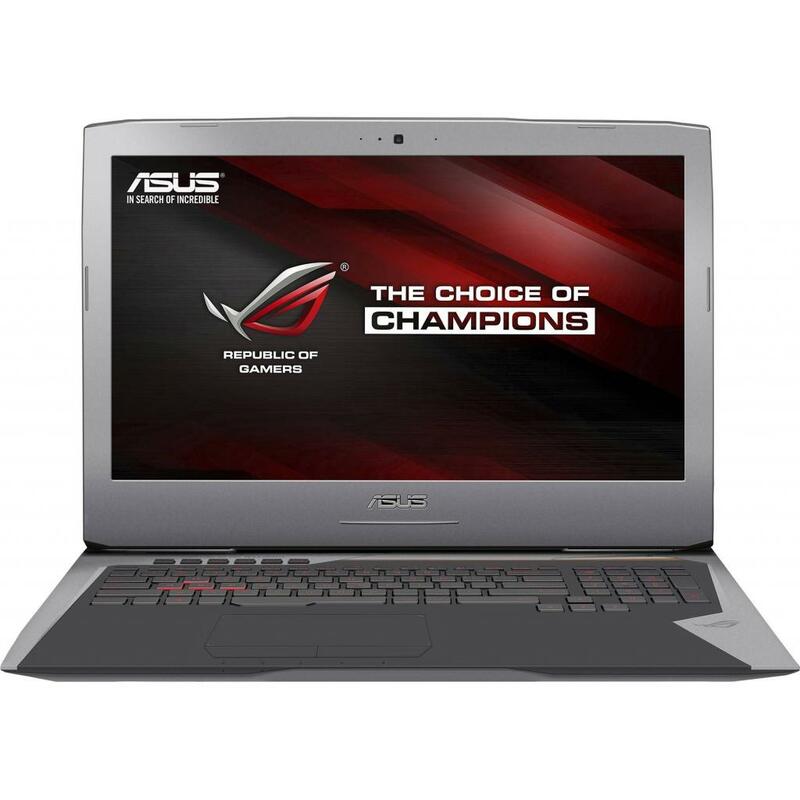 G752VY-GC397R Ноутбук ASUS G752VY (G752VY-GC397R) 17.3', FullHD (1920 х 1080), IPS, Intel Core i7 6820HK (2.7 - 3.6 ГГц), 32 ГБ, 2 ТБ, 256 ГБ, NVIDIA GeForce GTX 980M, 8 ГБ, DVD-SMulti, Bluetooth, Wi-Fi, Gigabit Ethernet, Windows 10 Pro, 8 cell, 4.6 кг, G 12 мес. GL502VM-FI025R Ноутбук ASUS GL502VM (GL502VM-FI025R) 15.6', 4К (3840x2160), IPS, Intel Core i7 6700HQ (2.6 - 3.5 ГГц), 16 ГБ, 1 ТБ, 256 ГБ, NVIDIA Geforce GTX 1060, 6 ГБ, No ODD, Bluetooth, Wi-Fi, Gigabit Ethernet, Windows 10 Pro 64bit, 4 cell, 2.2 кг, Bl 12 мес. 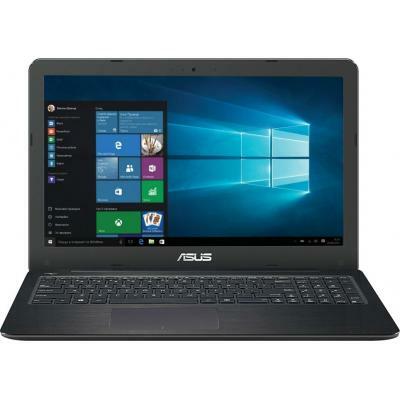 GL502VM-FY026T Ноутбук ASUS GL502VM (GL502VM-FY026T) 15.6', FullHD (1920 х 1080), Intel Core i7 6700HQ (2.6 - 3.5 ГГц), 16 ГБ, 1 ТБ, 256 ГБ, NVIDIA Geforce GTX 1060, 6 ГБ, No ODD, Bluetooth, Wi-Fi, Gigabit Ethernet, Windows 10 Home, 4 cell, 2.2 кг, Black 12 мес. 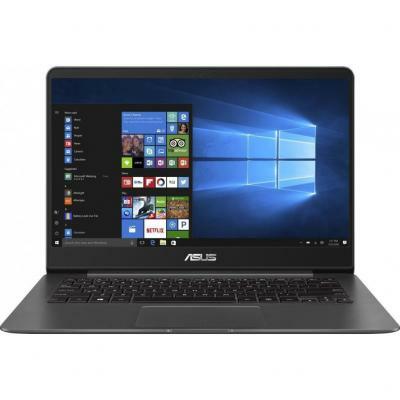 GL502VM-FY191T Ноутбук ASUS GL502VM (GL502VM-FY191T) 15.6', FullHD (1920 х 1080), IPS, Intel Core i7-7700HQ (2.8 - 3.8 ГГц), 16 ГБ, 1 ТБ, 256 ГБ, NVIDIA Geforce GTX 1060, 6 ГБ, No ODD, Bluetooth, Wi-Fi, LAN (RJ-45), Windows 10 Home, 4 cell, 2.2 кг, Titani 12 мес. 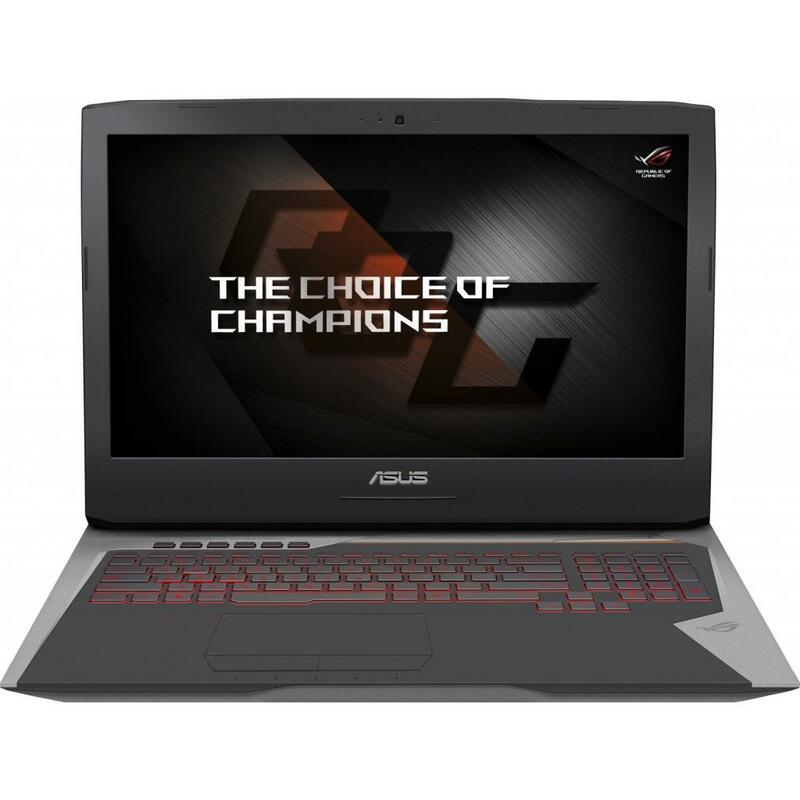 GL502VM-FY202T Ноутбук ASUS GL502VM (GL502VM-FY202T) 15.6', FullHD (1920 х 1080), Intel Core i7-7700HQ (2.8 - 3.8 ГГц), 16 ГБ, 1 ТБ, 256 ГБ, NVIDIA Geforce GTX 1060, 6 ГБ, No ODD, Bluetooth, Wi-Fi, Gigabit Ethernet, Windows 10 Home, 4 cell, 2.2 кг, Black 12 мес. GL502VS-FI143R Ноутбук ASUS GL502VS (GL502VS-FI143R) 15.6', 4К (3840x2160), IPS, Intel Core i7-7700HQ (2.8 - 3.8 ГГц), 32 ГБ, 1 ТБ, 512 ГБ, NVIDIA Geforce GTX 1070, 8 ГБ, No ODD, Bluetooth, Wi-Fi, LAN (RJ-45), Windows 10 Pro, 4 cell, 2.3 кг, Black 12 мес. GL502VS-GZ239T Ноутбук ASUS GL502VS (GL502VS-GZ239T) 15.6', FullHD (1920 х 1080), Intel Core i7 6700HQ (2.6 - 3.5 ГГц), 32 ГБ, 1 ТБ, 512 ГБ, NVIDIA Geforce GTX 1070, 8 ГБ, No ODD, Bluetooth, Wi-Fi, Gigabit Ethernet, Windows 10 Home, 4 cell, 2.35 кг, Black 12 мес. 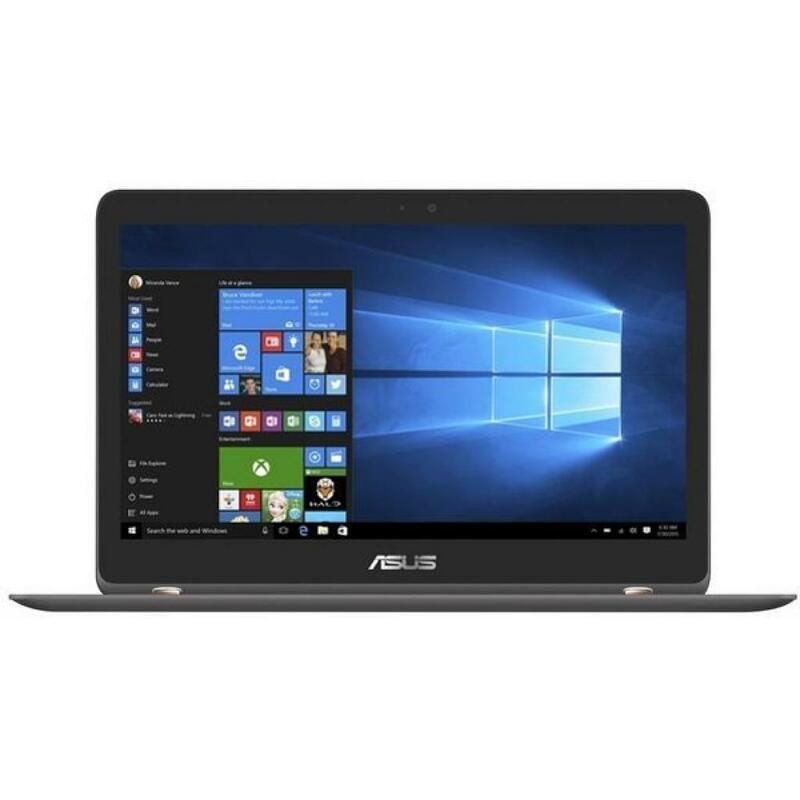 GL502VS-GZ303T Ноутбук ASUS GL502VS (GL502VS-GZ303T) 15.6', FullHD (1920 х 1080), IPS, Intel Core i7-7700HQ (2.8 - 3.8 ГГц), 32 ГБ, 1 ТБ, 512 ГБ, NVIDIA Geforce GTX 1070, 8 ГБ, No ODD, Bluetooth, Wi-Fi, LAN (RJ-45), Windows 10 Home, 4 cell, 2.3 кг, Titani 12 мес. 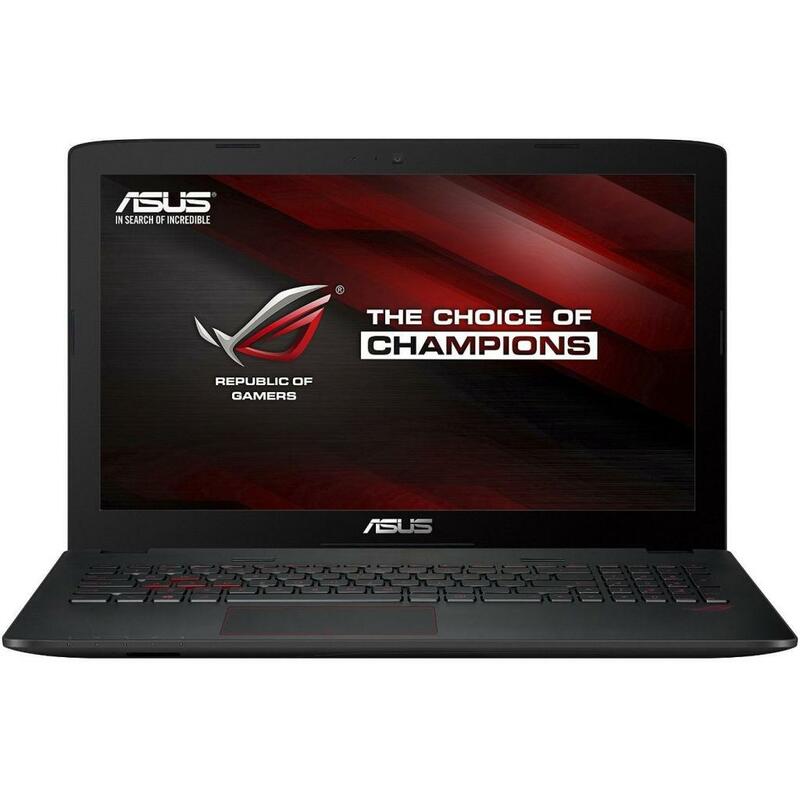 GL503GE-EN044T Ноутбук ASUS GL503GE (GL503GE-EN044T) 15.6', FullHD (1920 х 1080), Intel Core i7 8750H (до 4.1 ГГц), 16 ГБ, 1 ТБ, 128 ГБ, NVIDIA GeForce GTX 1050 Ti, 4 ГБ, н.д., Bluetooth, Wi-Fi, LAN (RJ-45), Windows 10 Home, 4 cell, 2.6 кг, Black 12 мес. 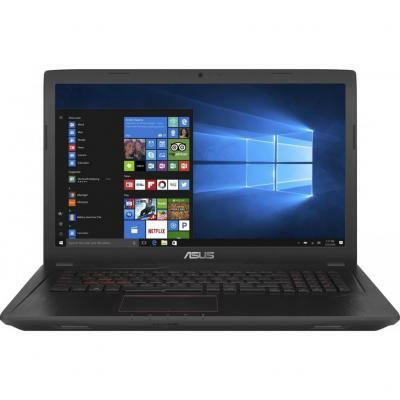 GL503VD-FY077T Ноутбук ASUS GL503VD (GL503VD-FY077T) 15.6', FullHD (1920 х 1080), IPS, Intel Core i7-7700HQ (2.8 - 3.8 ГГц), 32 ГБ, 1 ТБ, 256 ГБ, NVIDIA GeForce GTX 1050, 4 ГБ, No ODD, Bluetooth, Wi-Fi, LAN (RJ-45), Windows 10, 4 cell, 2.5 кг, Black 12 мес. 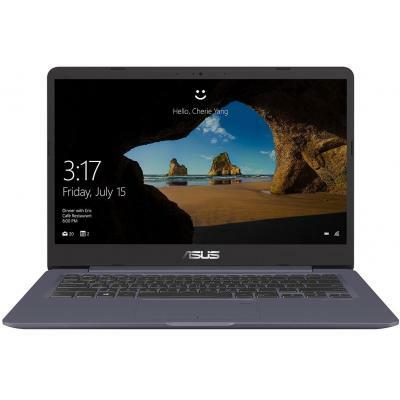 GL503VD-GZ073T Ноутбук ASUS GL503VD (GL503VD-GZ073T) 15.6', FullHD (1920 х 1080), IPS, Intel Core i7-7700HQ (2.8 - 3.8 ГГц), 32 ГБ, 1 ТБ, 256 ГБ, NVIDIA GeForce GTX 1050, 4 ГБ, No ODD, Bluetooth, Wi-Fi, Gigabit Ethernet, Windows 10, 4 cell, 2.5 кг, Black 12 мес. 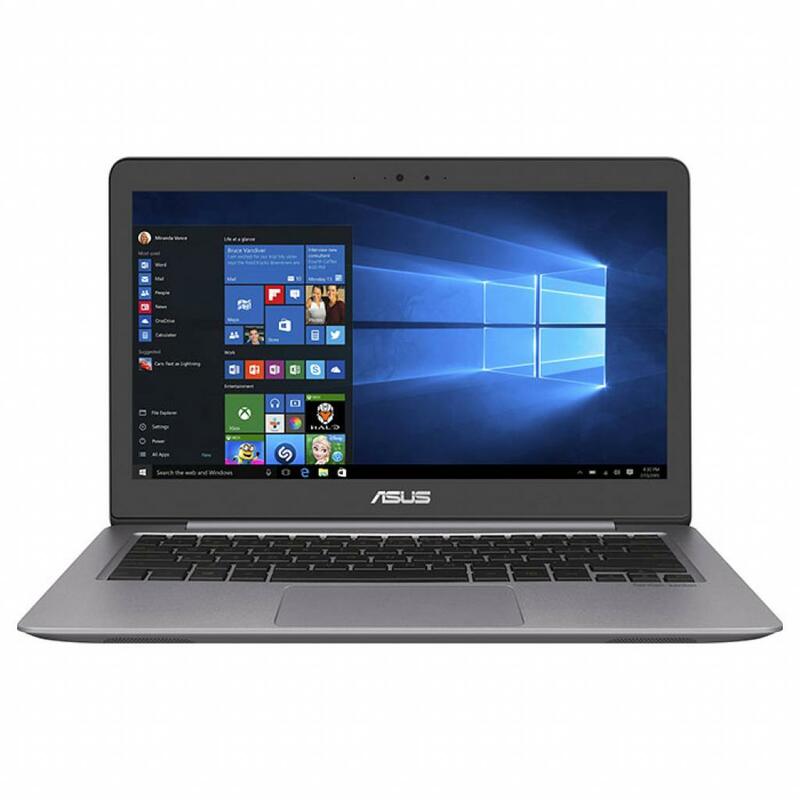 GL503VM-FY038T Ноутбук ASUS GL503VM (GL503VM-FY038T) 15.6', FullHD (1920 х 1080), IPS, Intel Core i7-7700HQ (2.8 - 3.8 ГГц), 32 ГБ, 1 ТБ, 256 ГБ, NVIDIA Geforce GTX 1060, 6 ГБ, No ODD, Bluetooth, Wi-Fi, Gigabit Ethernet, Windows 10, 4 cell, 2.5 кг, Black 12 мес. 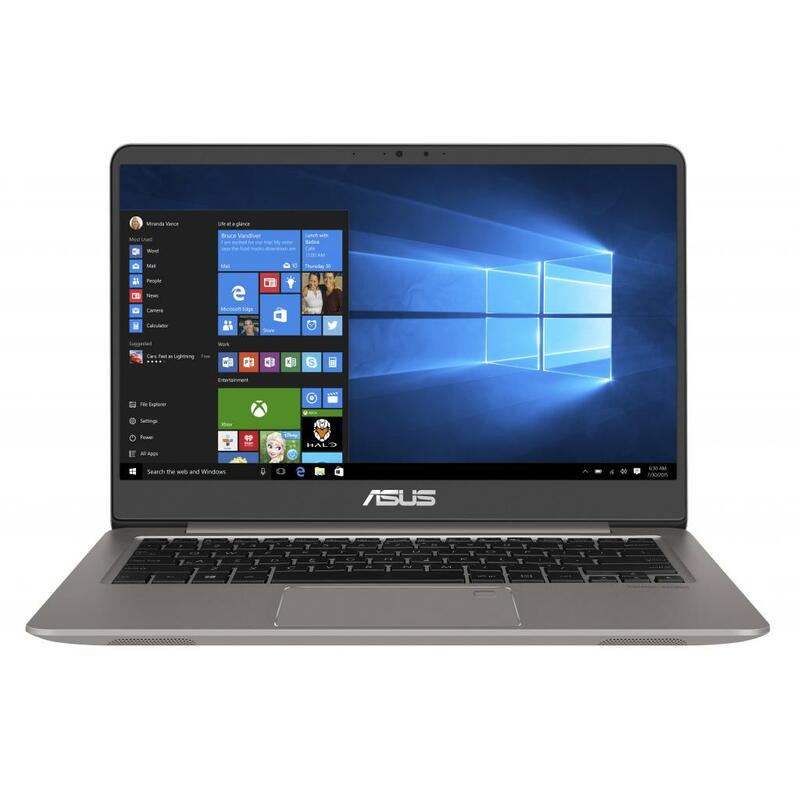 GL503VM-GZ040T Ноутбук ASUS GL503VM (GL503VM-GZ040T) 15.6', FullHD (1920 х 1080), IPS, Intel Core i7-7700HQ (2.8 - 3.8 ГГц), 32 ГБ, 1 ТБ, 256 ГБ, NVIDIA Geforce GTX 1060, 6 ГБ, No ODD, Bluetooth, Wi-Fi, LAN (RJ-45), Windows 10, 4 cell, 2.5 кг, Black 12 мес. GL503VS-EI007R Ноутбук ASUS GL503VS (GL503VS-EI007R) 15.6', FullHD (1920 х 1080), IPS, Intel Core i7-7700HQ (2.8 - 3.8 ГГц), 32 ГБ, 1 ТБ, 512 ГБ, NVIDIA Geforce GTX 1070, 8 ГБ, No ODD, Bluetooth, Wi-Fi, Gigabit Ethernet, Windows 10 Pro, 4 cell, 2.5 кг, Bl 12 мес. GL552VW-CN282T Ноутбук ASUS GL552VW (GL552VW-CN282T) 15.6', FullHD (1920 х 1080), IPS, Intel Core i7 6700HQ (2.6 - 3.5 ГГц), 16 ГБ, 2 ТБ, 128 ГБ, NVIDIA GeForce GTX 960M, 4 ГБ, Blu-Ray Combo, Bluetooth, Wi-Fi, LAN (RJ-45), Windows 10, 4 cell, 2.6 кг, Meta 12 мес. GL553VD-FY460T Ноутбук ASUS GL553VD (GL553VD-FY460T) 15.6', FullHD (1920 х 1080), IPS, Intel Core i7-7700HQ (2.8 - 3.8 ГГц), 16 ГБ, 1 ТБ, 256 ГБ, NVIDIA GeForce GTX 1050, 4 ГБ, DVD±RW, Bluetooth, Wi-Fi, LAN (RJ-45), Windows 10 Home, 4 cell, 2.5 кг, Black 12 мес. 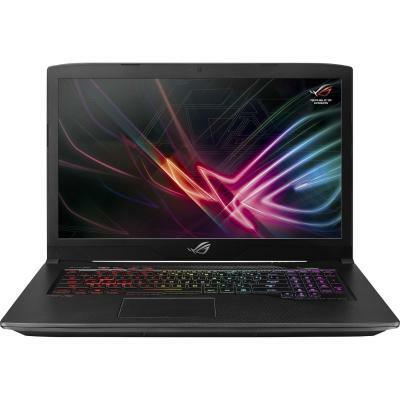 GL702VM-BA305T Ноутбук ASUS GL702VM (GL702VM-BA305T) 17.3', FullHD (1920 х 1080), IPS, Intel Core i7-7700HQ (2.8 - 3.8 ГГц), 32 ГБ, 1 ТБ, 256 ГБ, NVIDIA Geforce GTX 1060, 6 ГБ, No ODD, Bluetooth, Wi-Fi, LAN (RJ-45), Windows 10 Home, 4 cell, 2.7 кг, Black 12 мес. GL702VM-GB105R Ноутбук ASUS GL702VM (GL702VM-GB105R) 17.3', 4К (3840x2160), IPS, Intel Core i7 6700HQ (2.6 - 3.5 ГГц), 32 ГБ, 1 ТБ, 512 ГБ, NVIDIA Geforce GTX 1060, 6 ГБ, No ODD, Bluetooth, Wi-Fi, Gigabit Ethernet, Windows 10 Pro, 4 cell, 2.5 кг, Black 12 мес. GL702VM-GB169T Ноутбук ASUS GL702VM (GL702VM-GB169T) 17.3', 4К (3840x2160), IPS, Intel Core i7-7700HQ (2.8 - 3.8 ГГц), 32 ГБ, 1 ТБ, 256 ГБ, NVIDIA Geforce GTX 1060, 6 ГБ, No ODD, Bluetooth, Wi-Fi, Gigabit Ethernet, Windows 10 Home, 4 cell, 2.7 кг, Black 12 мес. GL702VS-BA107T Ноутбук ASUS GL702VS (GL702VS-BA107T) 17.3', FullHD (1920 х 1080), IPS, Intel Core i7-7700HQ (2.8 - 3.8 ГГц), 32 ГБ, 1 ТБ, 512 ГБ, NVIDIA Geforce GTX 1070, 8 ГБ, No ODD, Bluetooth, Wi-Fi, LAN (RJ-45), Windows 10 Home, 4 cell, 2.9 кг, Black 12 мес. 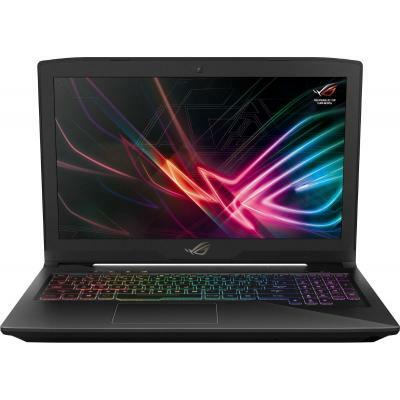 GL703GE-EE026T Ноутбук ASUS GL703GE (GL703GE-EE026T) 17.3', FullHD (1920 х 1080), Intel Core i7 8750H (до 4.1 ГГц), 16 ГБ, 1 ТБ, 128 ГБ, NVIDIA GeForce GTX 1050 Ti, 4 ГБ, н.д., Wi-Fi, LAN (RJ-45), Windows 10 Home, 4 cell, 2.7 кг, Black 12 мес. GL703VD-EE032T Ноутбук ASUS GL703VD (GL703VD-EE032T) 17.3', FullHD (1920 х 1080), Intel Core i7-7700HQ (2.8 - 3.8 ГГц), 32 ГБ, 1 ТБ, 256 ГБ, NVIDIA GeForce GTX 1050, 4 ГБ, No ODD, Bluetooth, Wi-Fi, Gigabit Ethernet, Windows 10, 4 cell, 2.9 кг, Gun Metal 12 мес. 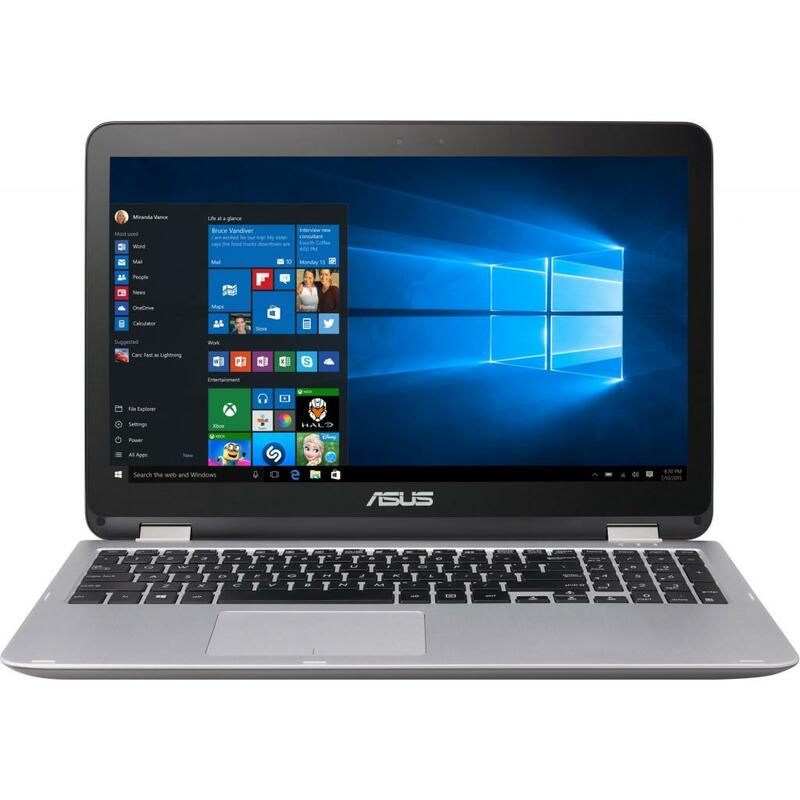 GX501VI-GZ029R Ноутбук ASUS GX501VI (GX501VI-GZ029R) 15.6', FullHD (1920 х 1080), IPS, Intel Core i7-7700HQ (2.8 - 3.8 ГГц), 24 ГБ, отсутствует, 1 ТБ, NVIDIA Geforce GTX 1080, 8 ГБ, No ODD, Bluetooth, Wi-Fi, Gigabit Ethernet, Windows 10 Pro, 4 cell, 2.2 к 12 мес. 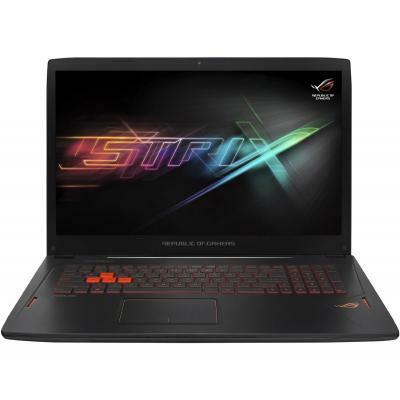 GX501VI-GZ030R Ноутбук ASUS GX501VI (GX501VI-GZ030R) 15.6', FullHD (1920 х 1080), IPS, Intel Core i7-7700HQ (2.8 - 3.8 ГГц), 24 ГБ, отсутствует, 512 ГБ, NVIDIA Geforce GTX 1080, 8 ГБ, No ODD, Bluetooth, Wi-Fi, LAN (RJ-45), Windows 10 Pro, 4 cell, 2.24 кг, 12 мес. Ноутбук Asus K56CB-XX038 (Core i7-3517U (1.9-2.4GHz), 4GB DDR3 1600, 1TB, DVD-SM, 15.6" HD LED, GeForce GT740M 2GB, VGA, HDMI, GLAN, WiFi b/g/n, BT4.0, WC HD, 1xUSB3.0, 2xUSB2.0, CR SD, 4cell 2950mAH, DOS, 2.3kg, Black/Silver) (K56CB-XX038) мес. Ноутбук ASUS N550JA Grey (N550JA-XO011H) Intel Core i7-4700HQ-2.4/8.0 Gb/1.0Tb/DVD-RW/15.6" HD LED/Intel HD Graphics 4600/WiFi/BT/CR/WC/Win. 8/2.6 кг. 24 мес. 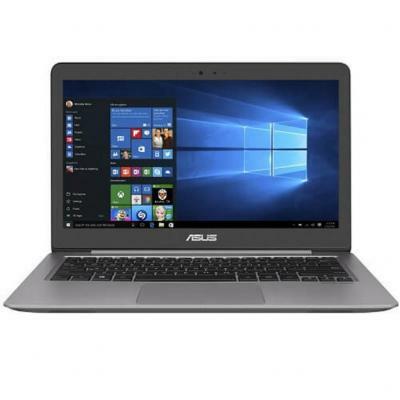 Ноутбук ASUS N550JV Grey (N550JV-XO268H) Intel Core i7-4700HQ-2.4/4.0 Gb/750Gb/DVD-RW/15.6" HD LED/GF GT 750M 2.0Gb/WiFi/BT/CR/WC/Win. 8/2.6 кг. 24 мес. Ноутбук ASUS N550LF Grey (N550LF-CM038H) Intel Core i7-4500U-1.8/8.0 Gb/1.0Tb/DVD-RW/15.6" M-Touch IPS FHD LED/GF GT 745M 2.0Gb/WiFi/BT/CR/WC/Win. 8/2.6 кг. 24 мес. 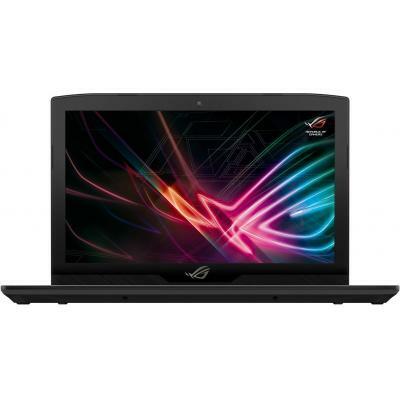 Ноутбук ASUS N56VW Black (N56VV-S4005H) Intel Core i7-3630QM 2.4/8.0 Gb/1.0Tb/DVD-RW/15.6" FHD LED/GF GT750M 4.0Gb/LAN/WiFi/BT/WC/CR/Win. 8/2.7 кг 24 мес. N580VD-FI774T Ноутбук ASUS N580VD (N580VD-FI774T) 15.6', 4К (3840x2160), IPS, Intel Core i7-7700HQ (2.8 - 3.8 ГГц), 16 ГБ, 1 ТБ, 256 ГБ, NVIDIA GeForce GTX 1050, 4 ГБ, No ODD, Bluetooth, Wi-Fi, LAN (RJ-45), Windows 10, 3 cell, 2.0 кг, Gold 12 мес. N580VN-FI149T Ноутбук ASUS N580VN (N580VN-FI149T) 15.6', 4К (3840x2160), IPS, Intel Core i7-7700HQ (2.8 - 3.8 ГГц), 16 ГБ, 1 ТБ, 256 ГБ, NVIDIA GeForce MX150, 2 ГБ, No ODD, Bluetooth, Wi-Fi, Gigabit Ethernet, Windows 10, 3 cell, 2.0 кг, Gold 12 мес. 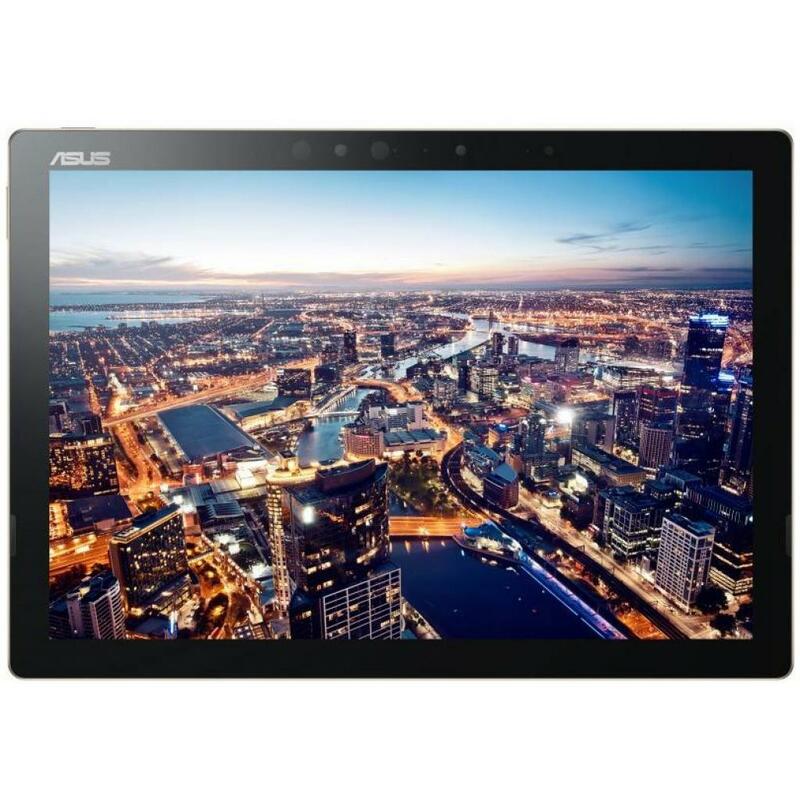 N580VN-FY062 Ноутбук ASUS N580VN (N580VN-FY062) 15.6', FullHD (1920 х 1080), IPS, Intel Core i7-7700HQ (2.8 - 3.8 ГГц), 16 ГБ, 1 ТБ, 256 ГБ, NVIDIA GeForce MX150, 2 ГБ, No ODD, Bluetooth, Wi-Fi, Gigabit Ethernet, Endless OS, 3 cell, 2.1 кг, Gold 12 мес. 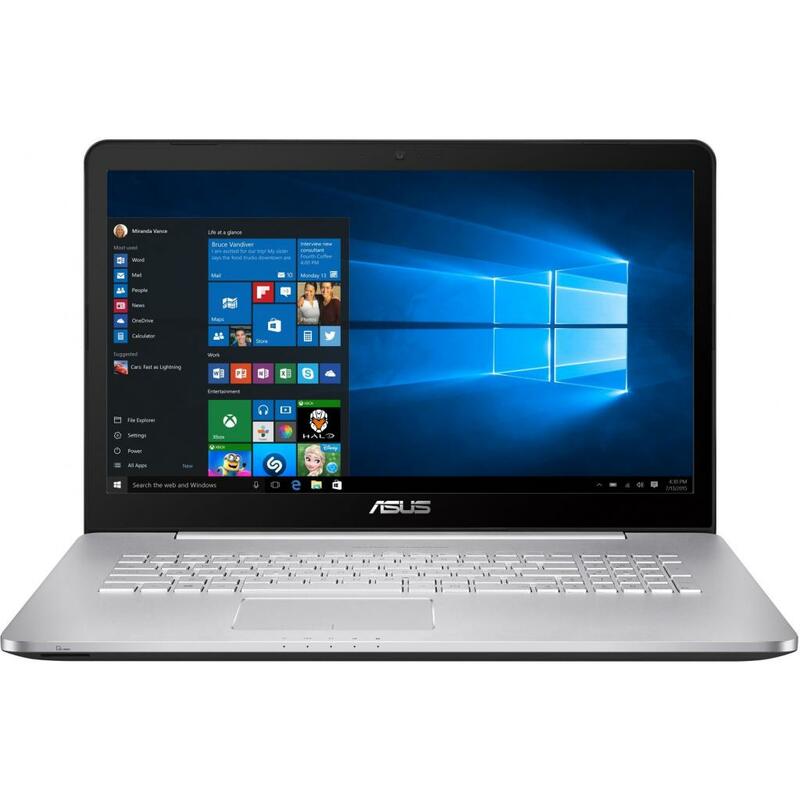 N580VN-FY062T Ноутбук ASUS N580VN (N580VN-FY062T) 15.6', FullHD (1920 х 1080), IPS, Intel Core i7-7700HQ (2.8 - 3.8 ГГц), 16 ГБ, 1 ТБ, 256 ГБ, NVIDIA GeForce MX150, 2 ГБ, No ODD, Bluetooth, Wi-Fi, LAN (RJ-45), Windows 10, 3 cell, 2.0 кг, Gold 12 мес. N705UD-GC096 Ноутбук ASUS N705UD (N705UD-GC096) 17.3', FullHD (1920 х 1080), IPS, Intel Core i7 8550U (1.8 - 4.0 ГГц), 16 ГБ, 1 ТБ, 256 ГБ, NVIDIA GeForce GTX 1050, 4 ГБ, No ODD, Bluetooth, Wi-Fi, LAN (RJ-45), Endless OS, 3 cell, 2.1 кг, Dark Grey 12 мес. N705UN-GC051 Ноутбук ASUS N705UN (N705UN-GC051) 17.3', FullHD (1920 х 1080), IPS, Intel Core i7 8550U (1.8 - 4.0 ГГц), 16 ГБ, 1 ТБ, 256 ГБ, NVIDIA GeForce MX150, 4 ГБ, No ODD, Bluetooth, Wi-Fi, LAN (RJ-45), Endless OS, 3 cell, 2.2 кг, Dark Grey 12 мес. N705UQ-GC094 Ноутбук ASUS N705UQ (N705UQ-GC094) 17.3', FullHD (1920 х 1080), IPS, Intel Core i7 8550U (1.8 - 4.0 ГГц), 16 ГБ, 1 ТБ, 256 ГБ, NVIDIA GeForce GT 940MX, 2 ГБ, No ODD, Bluetooth, Wi-Fi, LAN (RJ-45), Endless OS, 3 cell, 2.1 кг, Dark Grey 12 мес. N705UQ-GC094T Ноутбук ASUS N705UQ (N705UQ-GC094T) 17.3', FullHD (1920 х 1080), IPS, Intel Core i7 8550U (1.8 - 4.0 ГГц), 16 ГБ, 1 ТБ, 256 ГБ, NVIDIA GeForce GT 940MX, 2 ГБ, No ODD, Bluetooth, Wi-Fi, LAN (RJ-45), Windows 10, 3 cell, 2.1 кг, Dark Grey 12 мес. N752VX-GB156T Ноутбук ASUS N752VX (N752VX-GB156T) 17.3', 4К (3840x2160), IPS, Intel Core i7 6700HQ (2.6 - 3.5 ГГц), 32 ГБ, 2 ТБ, 256 ГБ, NVIDIA GeForce GTX 950M, 4 ГБ, DVD-SMulti, Bluetooth, Wi-Fi, Gigabit Ethernet, Windows 10 Home, 4 cell, 3.2 кг, Grey 12 мес. N752VX-GB157T Ноутбук ASUS N752VX (N752VX-GB157T) 17.3', 4К (3840x2160), IPS, Intel Core i7 6700HQ (2.6 - 3.5 ГГц), 32 ГБ, 1 ТБ, 256 ГБ, NVIDIA GeForce GTX 950M, 4 ГБ, DVD-SMulti, Bluetooth, Wi-Fi, Gigabit Ethernet, Windows 10 Home, 4 cell, 3.2 кг, Silver 12 мес. 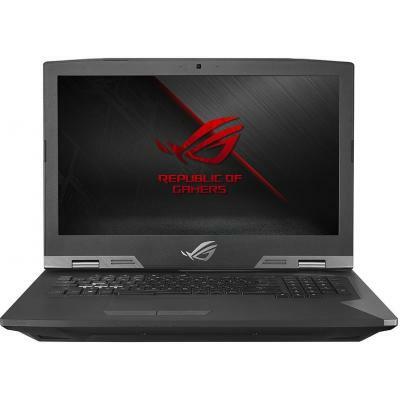 R414UV-FA266D Ноутбук ASUS R414UV (R414UV-FA266D) 14', FullHD (1920 х 1080), Intel Core i7-7500U (2.7-3.5GHz), 4 ГБ, 1 ТБ, NVIDIA GeForce 920MX, 2 ГБ, No ODD, Bluetooth, Wi-Fi, LAN (RJ-45), DOS, 3 cell, 1.75 кг, Chocolate black 12 мес. R558UQ-DM1201T Ноутбук ASUS R558UQ (R558UQ-DM1201T) 15.6', FullHD (1920 х 1080), Intel Core i7-7500U (2.7-3.5GHz), 8 ГБ, 1 ТБ, 128 ГБ, NVIDIA GeForce GT 940MX, 2 ГБ, No ODD, Bluetooth, Wi-Fi, LAN (RJ-45), Windows 10, 2 cell, 2.3 кг, Dark Brown 12 мес. 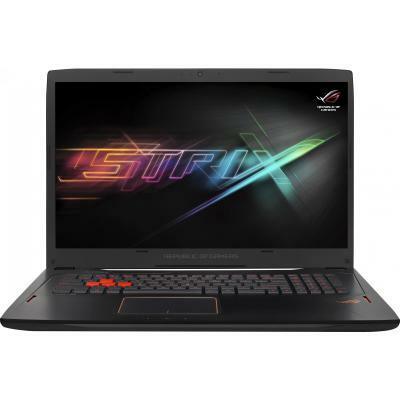 R558UQ-DM701T Ноутбук ASUS R558UQ (R558UQ-DM701T) 15.6', FullHD (1920 х 1080), Intel Core i7-7500U (2.7-3.5GHz), 8 ГБ, 1 ТБ, NVIDIA GeForce GT 940MX, 2 ГБ, DVD±RW, Bluetooth, Wi-Fi, LAN (RJ-45), Windows 10, 2 cell, 2.3 кг, Dark Brown 12 мес. 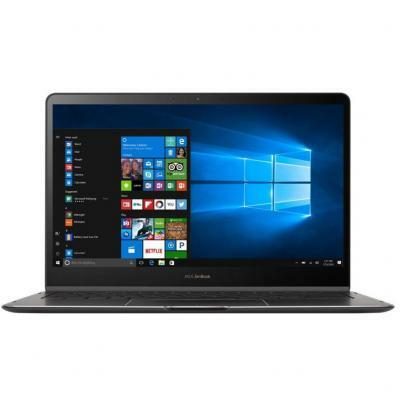 S406UA-BM152T Ноутбук ASUS VivoBook S14 (S406UA-BM152T) 14', FullHD (1920 х 1080), IPS, Intel Core i7 8550U (1.8 - 4.0 ГГц), 16 ГБ, отсутствует, 512 ГБ, Intel UHD Graphics 620, No ODD, Bluetooth, Wi-Fi, Windows 10, 2 cell, 1.2 кг, Grey 12 мес. 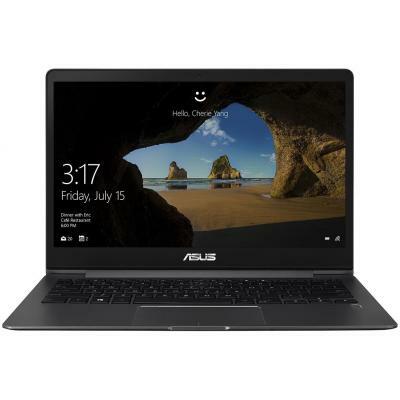 Ноутбук ASUS VivoBook S550CA Black (S550CA-CJ006H) Intel Core i7-3517U-1.9/4.0 Gb/24.0Gb SSD+750Gb/15.6" HD LED M-Touch/Intel HD Graphics 4000/LAN/WiFi/BT/WC/CR/Win. 8/2.6 кг 24 мес. 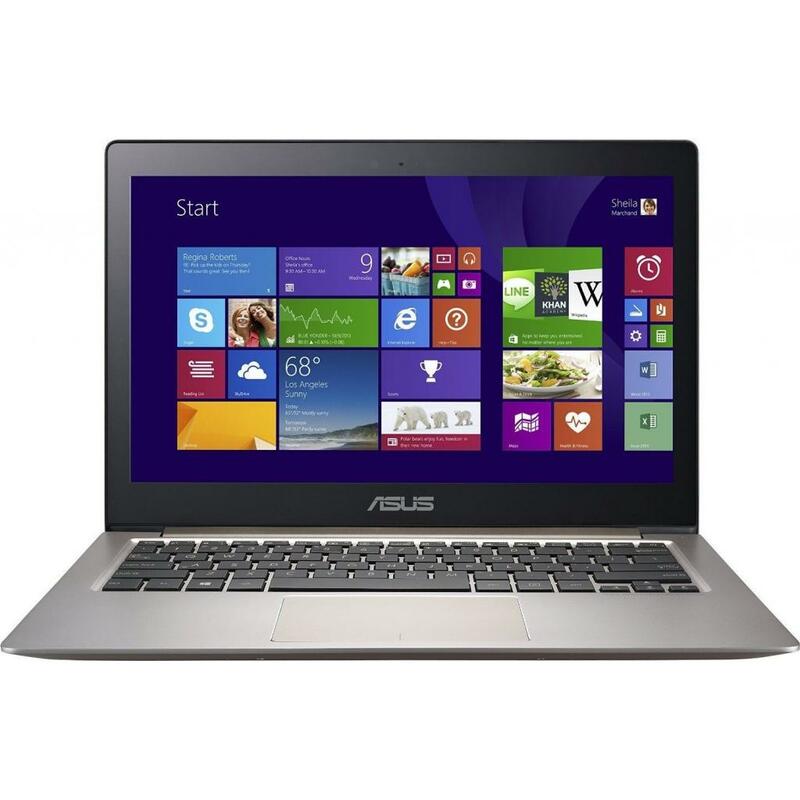 T303UA-GN004R Ноутбук ASUS T303UA (T303UA-GN004R) 12.6', 2880x1920, IPS, Intel Core i7 6500U (2.5 - 3.1 ГГц), 16 ГБ, отсутствует, 512 ГБ, Intel HD Graphics 520, No ODD, Bluetooth, Wi-Fi, Windows 10 Pro, 2 cell, 0.8 кг, Grey 12 мес. 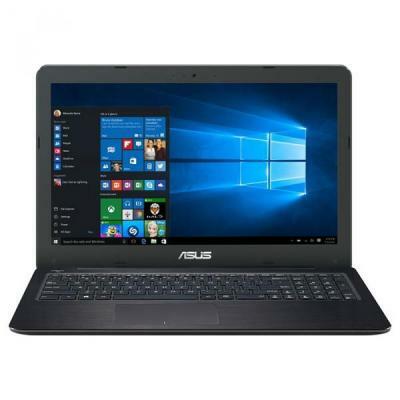 T303UA-GN032R Ноутбук ASUS T303UA (T303UA-GN032R) 12.6', 2880x1920, Intel Core i7 6500U (2.5 - 3.1 ГГц), 16 ГБ, отсутствует, 512 ГБ, Intel HD Graphics 520, No ODD, Bluetooth, Wi-Fi, Windows 10 Pro, 0.77 кг, Metallic Grey 12 мес. T303UA-GN037R Ноутбук ASUS T303UA (T303UA-GN037R) 13.3', 2880x1920, IPS, Intel Core i7 6500U (2.5 - 3.1 ГГц), 16 ГБ, отсутствует, 512 ГБ, Intel HD Graphics 520, No ODD, Bluetooth, Wi-Fi, Windows 10 Pro, 0.8 кг, Gold 12 мес. 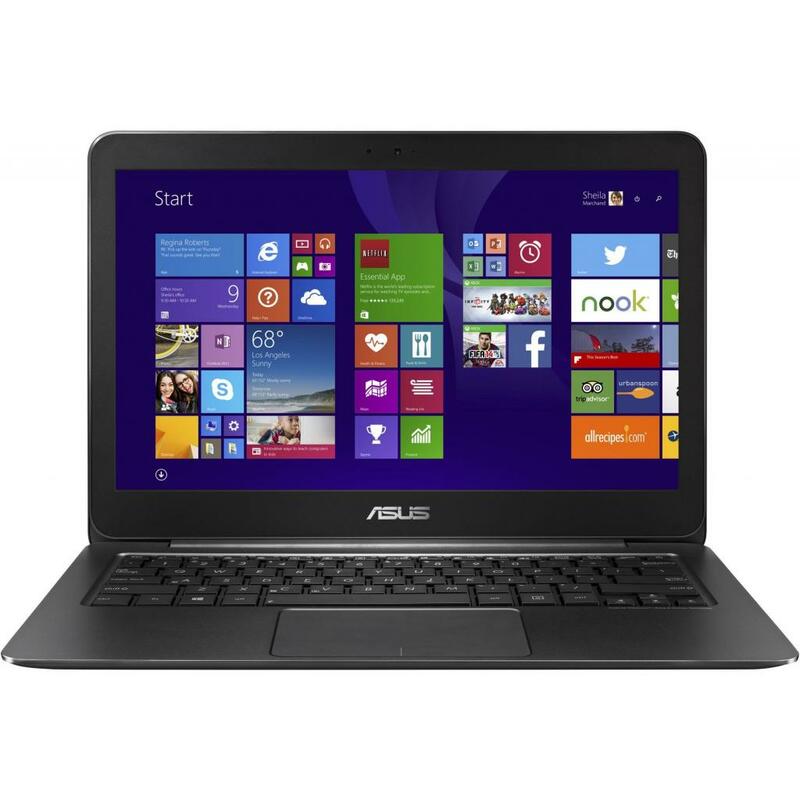 T303UA-GN051R Ноутбук ASUS T303UA (T303UA-GN051R) 12.6', 2880x1920, Intel Core i7 6500U (2.5 - 3.1 ГГц), 8 ГБ, отсутствует, 256 ГБ, Intel HD Graphics 520, No ODD, Bluetooth, Wi-Fi, Windows 10 Pro, 0.77 кг, Metallic Grey 12 мес. T303UA-GN063R Ноутбук ASUS T303UA (T303UA-GN063R) 12.6', 2880x1920, IPS, Intel Core i7 6500U (2.5 - 3.1 ГГц), 8 ГБ, отсутствует, 256 ГБ, Intel HD Graphics 520, No ODD, Bluetooth, Wi-Fi, Windows 10, 2 cell, 0.8 кг, Gold 12 мес. 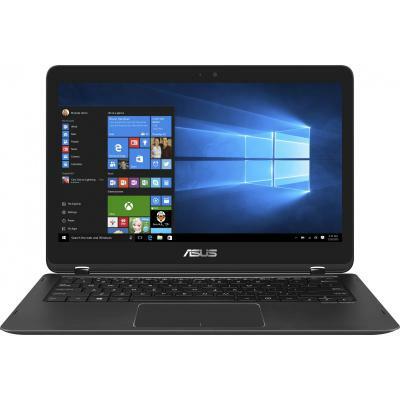 TP501UB-DN039T Ноутбук ASUS TP501UB (TP501UB-DN039T) 15.6', FullHD (1920 х 1080), TN+film, Intel Core i7 6500U (2.5 - 3.1 ГГц), 8 ГБ, 1 ТБ, 128 ГБ, NVIDIA GeForce 940M, 2 ГБ, No ODD, Bluetooth, Wi-Fi, Gigabit Ethernet, Windows 10 Home, 2 cell, 2.2 кг, Gre 12 мес. UX303UA-R4054R Ноутбук ASUS Zenbook UX303UA (UX303UA-R4054R) 13.3', FullHD (1920 х 1080), IPS, Intel Core i7 6500U (2.5 - 3.1 ГГц), 8 ГБ, 1 ТБ, Intel HD Graphics 520, No ODD, Bluetooth, Wi-Fi, Windows 10 Pro, 3 cell, 1.45 кг, Brown 12 мес. UX303UA-R4056R Ноутбук ASUS Zenbook UX303UA (UX303UA-R4056R) 13.3', FullHD (1920 х 1080), IPS, Intel Core i7 6500U (2.5 - 3.1 ГГц), 8 ГБ, 1 ТБ, Intel HD Graphics 520, No ODD, Bluetooth, Wi-Fi, Windows 10 Pro, 3 cell, 1.45 кг, Gold 12 мес. UX303UB-R4051R Ноутбук ASUS Zenbook UX303UB (UX303UB-R4051R) 13.3', FullHD (1920 х 1080), IPS, Intel Core i7 6500U (2.5 - 3.1 ГГц), 8 ГБ, 1 ТБ, NVIDIA GeForce 940M, 2 ГБ, No ODD, Bluetooth, Wi-Fi, Windows 10 Pro, 3 cell, 1.45 кг, Brown 12 мес. UX303UB-R4052R Ноутбук ASUS Zenbook UX303UB (UX303UB-R4052R) 13.3', FullHD (1920 х 1080), TN+film, Intel Core i7 6500U (2.5 - 3.1 ГГц), 8 ГБ, 1 ТБ, NVIDIA GeForce 940M, 2 ГБ, No ODD, Bluetooth, Wi-Fi, Windows 10 Pro, 3 cell, 1.45 кг, Rose Gold 12 мес. UX303UB-R4178R Ноутбук ASUS Zenbook UX303UB (UX303UB-R4178R) 13.3', FullHD (1920 х 1080), IPS, Intel Core i7 6500U (2.5 - 3.1 ГГц), 12 ГБ, отсутствует, 512 ГБ, NVIDIA GeForce 940M, 2 ГБ, No ODD, Bluetooth, Wi-Fi, Windows 10 Pro, 3 cell, 1.45 кг, Rose Gold 12 мес. UX305LA-FB043R Ноутбук ASUS Zenbook UX305LA (UX305LA-FB043R) 13.3', QHD (3200x1800), IPS, Intel Core i7 5500U (2.4 ГГц), 8 ГБ, отсутствует, 512 ГБ, Intel HD, No ODD, Bluetooth, Wi-Fi, Windows 10 Pro, 3 cell, 1.3 кг, Black 12 мес. UX306UA-FC110T Ноутбук ASUS Zenbook UX306UA (UX306UA-FC110T) 13.3', FullHD (1920 х 1080), IPS, Intel Core i7 6500U (2.5 - 3.1 ГГц), 16 ГБ, отсутствует, 512 ГБ, Intel HD Graphics 520, No ODD, Bluetooth, Wi-Fi, Windows 10, 3 cell, 1.2 кг, Grey 12 мес. 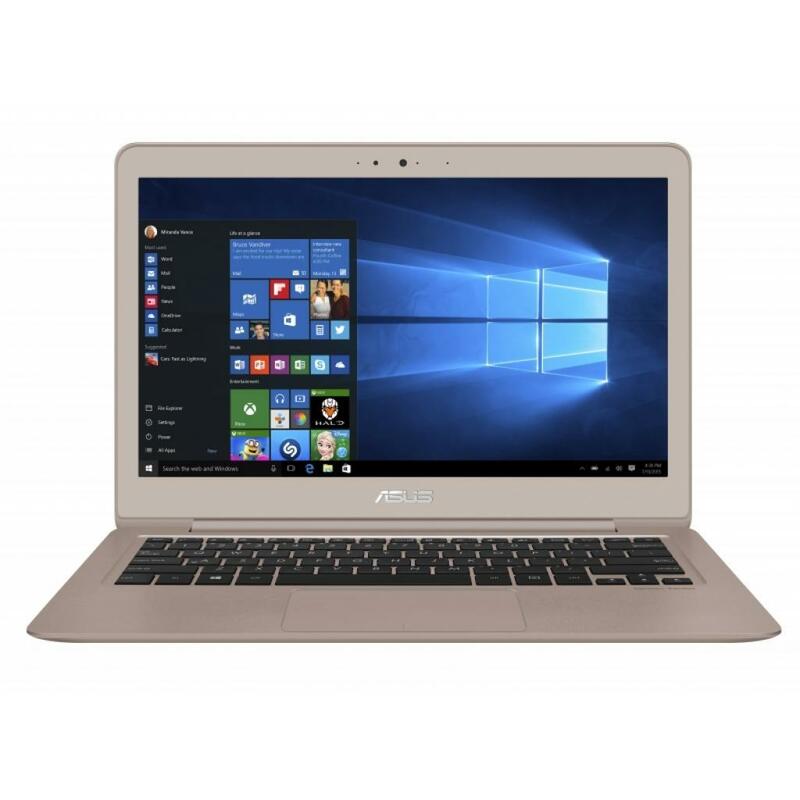 UX310UA-FB216R Ноутбук ASUS Zenbook UX310UA (UX310UA-FB216R) 13.3', FullHD (1920 х 1080), Intel Core i7 6500U (2.5 - 3.1 ГГц), 16 ГБ, 1 ТБ, 256 ГБ, Intel HD Graphics 520, No ODD, Bluetooth, Wi-Fi, Windows 10 Pro, 3 cell, 1.4 кг, Grey 12 мес. 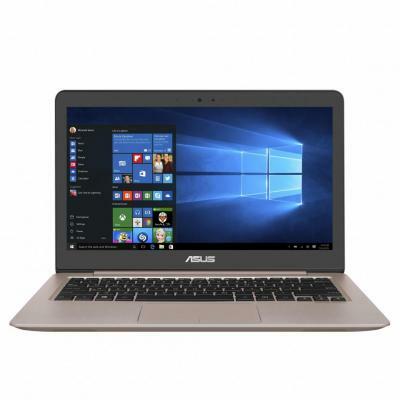 UX310UF-FC007T Ноутбук ASUS Zenbook UX310UF (UX310UF-FC007T) 13.3', FullHD (1920 х 1080), IPS, Intel Core i7 8550U (1.8 - 4.0 ГГц), 16 ГБ, 1 ТБ, 256 ГБ, NVIDIA GeForce MX130, 2 ГБ, No ODD, Bluetooth, Wi-Fi, Windows 10, 3 cell, 1.4 кг, Grey 12 мес. UX310UQ-FB039R Ноутбук ASUS Zenbook UX310UQ (UX310UQ-FB039R) 13.3', QHD (3200x1800), IPS, Intel Core i7 6500U (2.5 - 3.1 ГГц), 16 ГБ, 1 ТБ, 256 ГБ, NVIDIA GeForce GT 940MX, 2 ГБ, No ODD, Bluetooth, Wi-Fi, Windows 10 Pro, 3 cell, 1.45 кг, Grey 12 мес. UX310UQ-FB358T Ноутбук ASUS Zenbook UX310UQ (UX310UQ-FB358T) 13.3', QHD (3200x1800), Intel Core i7-7500U (2.7-3.5GHz), 16 ГБ, 1 ТБ, 256 ГБ, NVIDIA GeForce GT 940MX, 2 ГБ, No ODD, Bluetooth, Wi-Fi, Windows 10 Home, 3 cell, 1.45 кг, Silver 12 мес. UX310UQ-FB361T Ноутбук ASUS Zenbook UX310UQ (UX310UQ-FB361T) 13.3', QHD (3200x1800), IPS, Intel Core i7-7500U (2.7-3.5GHz), 16 ГБ, 1 ТБ, 256 ГБ, NVIDIA GeForce GT 940MX, 2 ГБ, No ODD, Bluetooth, Wi-Fi, Windows 10 Home, 3 cell, 1.45 кг, Rose Gold 12 мес. 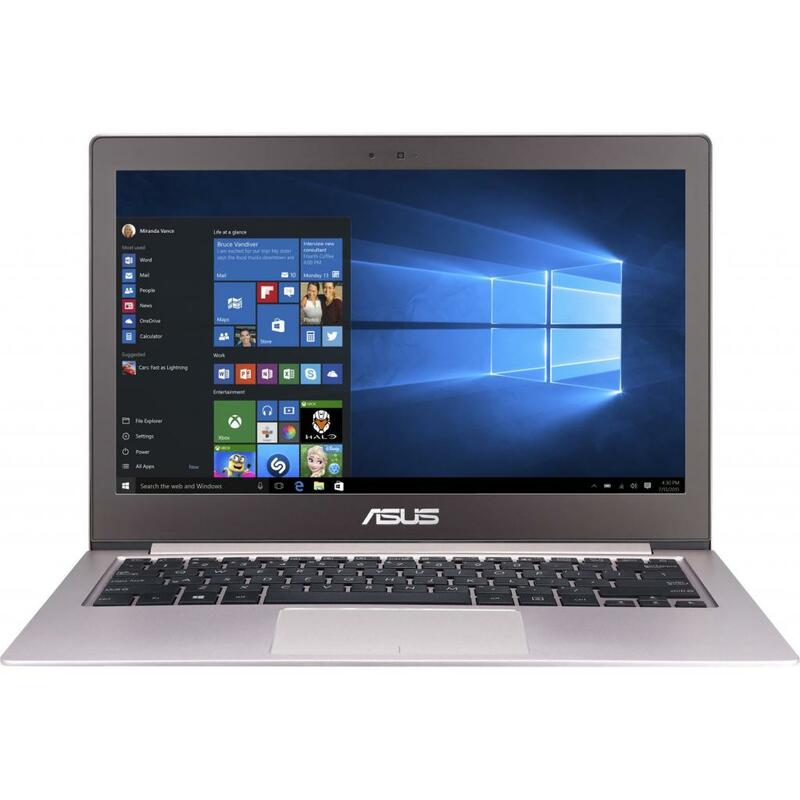 UX310UQ-FC362T Ноутбук ASUS Zenbook UX310UQ (UX310UQ-FC362T) 13.3', FullHD (1920 х 1080), IPS, Intel Core i7-7500U (2.7-3.5GHz), 16 ГБ, 1 ТБ, 256 ГБ, NVIDIA GeForce GT 940MX, 2 ГБ, No ODD, Bluetooth, Wi-Fi, Windows 10, 3 cell, 1.45 кг, Rose Gold 12 мес. 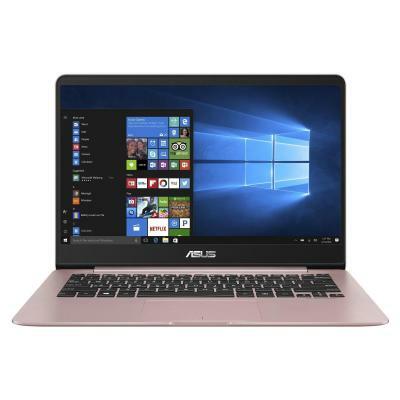 Ноутбук ASUS ZenBook UX31LA Aluminum (UX31LA-C4019H) Intel Core i7-4500U-1.8/8.0 Gb/512Gb SSD/13.3" FHD LED M-Touch IPS/Intel HD Graphics 4400/WiFi/BT/CR/WC/Win. 8/1.4 кг. 24 мес. UX330UA-FB018R Ноутбук ASUS Zenbook UX330UA (UX330UA-FB018R) 13.3', QHD (3200x1800), IPS, Intel Core i7 6500U (2.5 - 3.1 ГГц), 8 ГБ, отсутствует, 512 ГБ, Intel HD Graphics 520, No ODD, Bluetooth, Wi-Fi, Windows 10 Pro, 1.2 кг, Grey 12 мес. UX330UA-FB019R Ноутбук ASUS Zenbook UX330UA (UX330UA-FB019R) 13.3', QHD (3200x1800), IPS, Intel Core i7 6500U (2.5 - 3.1 ГГц), 8 ГБ, отсутствует, 512 ГБ, Intel HD Graphics 520, No ODD, Bluetooth, Wi-Fi, Windows 10 Pro, 3 cell, 1.2 кг, Gold 12 мес. UX330UA-FB070R Ноутбук ASUS Zenbook UX330UA (UX330UA-FB070R) 13.3', QHD (3200x1800), IPS, Intel Core i7-7500U (2.7-3.5GHz), 16 ГБ, отсутствует, 512 ГБ, Intel HD Graphics 620, No ODD, Bluetooth, Wi-Fi, Windows 10 Pro, 3 cell, 1.2 кг, Gold 12 мес. UX331UN-EG010T Ноутбук ASUS Zenbook UX331UN (UX331UN-EG010T) 13.3', FullHD (1920 х 1080), IPS, Intel Core i7 8550U (1.8 - 4.0 ГГц), 16 ГБ, отсутствует, 512 ГБ, NVIDIA GeForce MX150, 2 ГБ, No ODD, Bluetooth, Wi-Fi, Windows 10, 4 cell, 1.1 кг, Grey 12 мес. 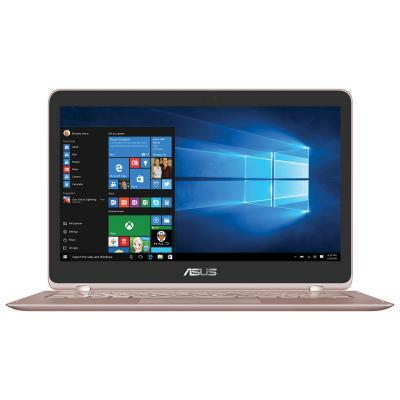 UX360UA-BB285T Ноутбук ASUS Zenbook UX360UA (UX360UA-BB285T) 13.3', FullHD (1920 х 1080), IPS, Intel Core i7-7500U (2.7-3.5GHz), 16 ГБ, отсутствует, 512 ГБ, Intel HD Graphics 620, No ODD, Bluetooth, Wi-Fi, Windows 10 Home, 3 cell, 1.2 кг, Black 12 мес. 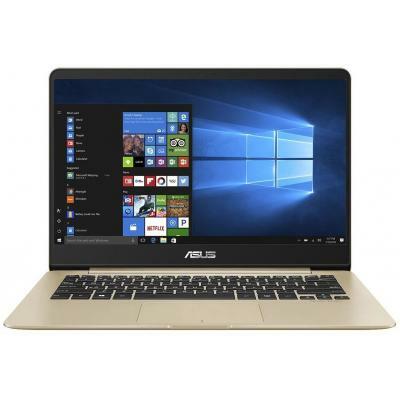 UX360UA-BB300T Ноутбук ASUS Zenbook UX360UA (UX360UA-BB300T) 13.3', FullHD (1920 х 1080), IPS, Intel Core i7-7500U (2.7-3.5GHz), 16 ГБ, отсутствует, 512 ГБ, Intel HD Graphics 620, No ODD, Bluetooth, Wi-Fi, Windows 10 Home, 3 cell, 1.2 кг, Grey 12 мес. 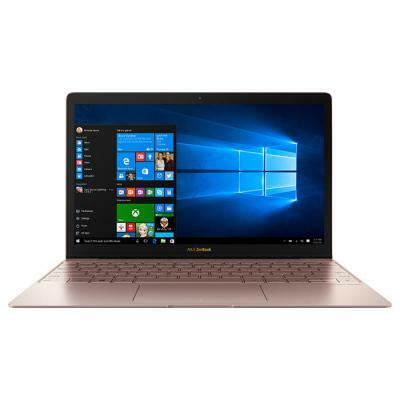 UX360UA-BB301T Ноутбук ASUS Zenbook UX360UA (UX360UA-BB301T) 13.3', FullHD (1920 х 1080), IPS, Intel Core i7-7500U (2.7-3.5GHz), 16 ГБ, отсутствует, 512 ГБ, Intel HD Graphics 620, No ODD, Bluetooth, Wi-Fi, Windows 10 Home, 3 cell, 1.2 кг, Gold 12 мес. UX360UA-DQ276R Ноутбук ASUS Zenbook UX360UA (UX360UA-DQ276R) 13.3', QHD (3200x1800), IPS, Intel Core i7-7500U (2.7-3.5GHz), 16 ГБ, отсутствует, 512 ГБ, Intel HD Graphics 620, No ODD, Bluetooth, Wi-Fi, Windows 10 Pro, 1.5 кг, Black 12 мес. 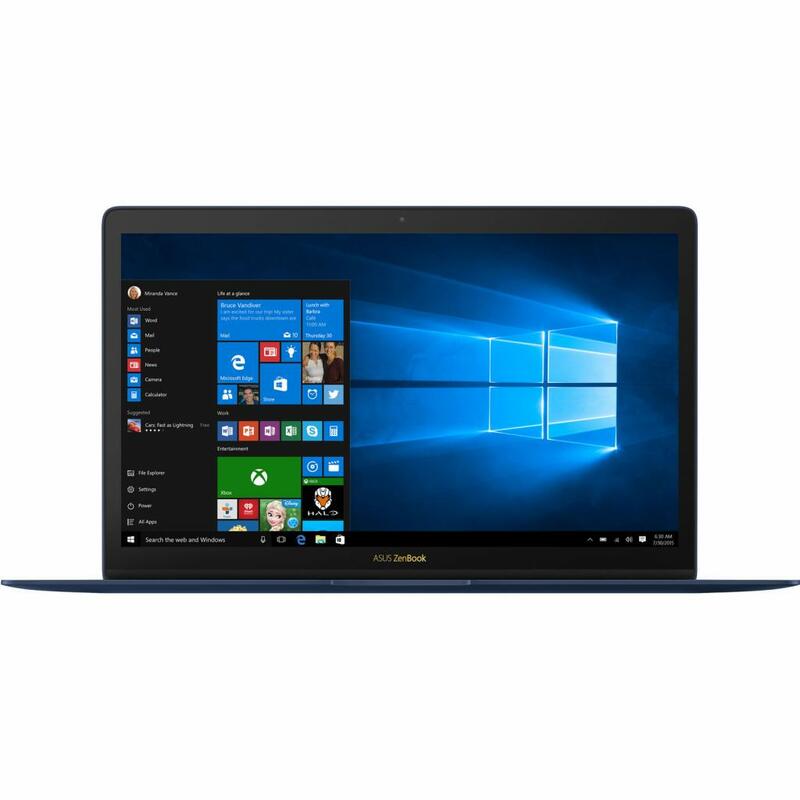 UX370UA-C4197R Ноутбук ASUS Zenbook UX370UA (UX370UA-C4197R) 13.3', FullHD (1920 х 1080), IPS, Intel Core i7 8550U (1.8 - 4.0 ГГц), 16 ГБ, отсутствует, 512 ГБ, Intel UHD Graphics 620, No ODD, Bluetooth, Wi-Fi, Windows 10 Pro, 2 cell, 1.1 кг, Grey 12 мес. UX390UA-GS031R Ноутбук ASUS Zenbook UX390UA (UX390UA-GS031R) 12.5', FullHD (1920 х 1080), IPS, Intel Core i7-7500U (2.7-3.5GHz), 16 ГБ, отсутствует, 1 ТБ, Intel HD Graphics 620, No ODD, Bluetooth, Wi-Fi, Windows 10 Pro, 6 cell, 0.92 кг, Blue 12 мес. UX390UA-GS036R Ноутбук ASUS Zenbook UX390UA (UX390UA-GS036R) 12.5', FullHD (1920 х 1080), IPS, Intel Core i7-7500U (2.7-3.5GHz), 16 ГБ, отсутствует, 512 ГБ, Intel HD Graphics 620, No ODD, Bluetooth, Wi-Fi, Windows 10 Pro, 6 cell, 0.92 кг, Grey 12 мес. 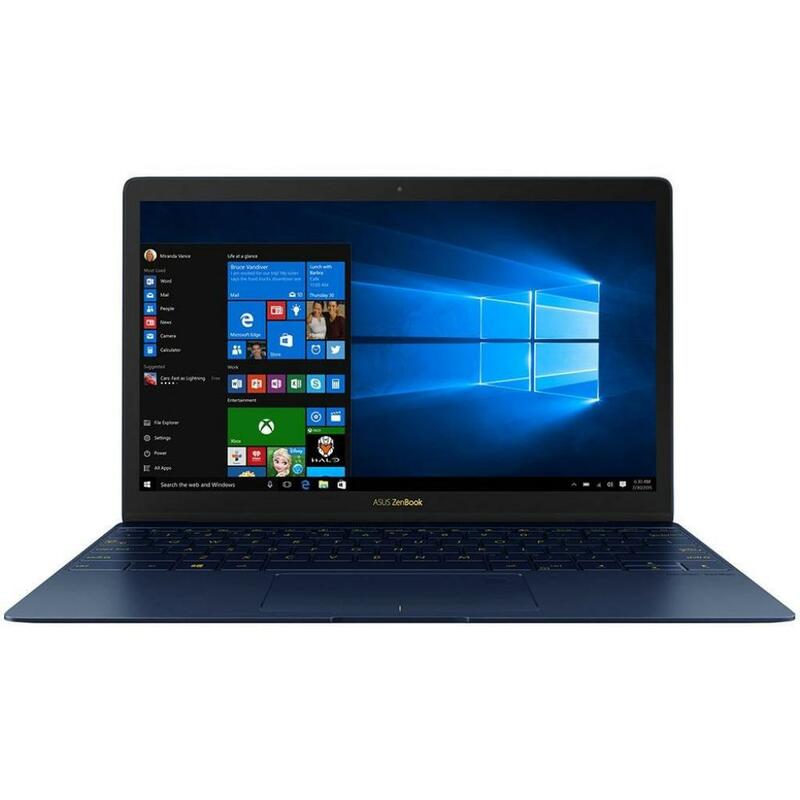 UX390UA-GS048R Ноутбук ASUS Zenbook UX390UA (UX390UA-GS048R) 12.5', 13.3', FullHD (1920 х 1080), IPS, Intel Core i7-7500U (2.7-3.5GHz), 16 ГБ, отсутствует, 512 ГБ, Intel HD Graphics 620, No ODD, Bluetooth, Wi-Fi, Windows 10 Pro, 6 cell, 0.92 кг, Blue 12 мес. 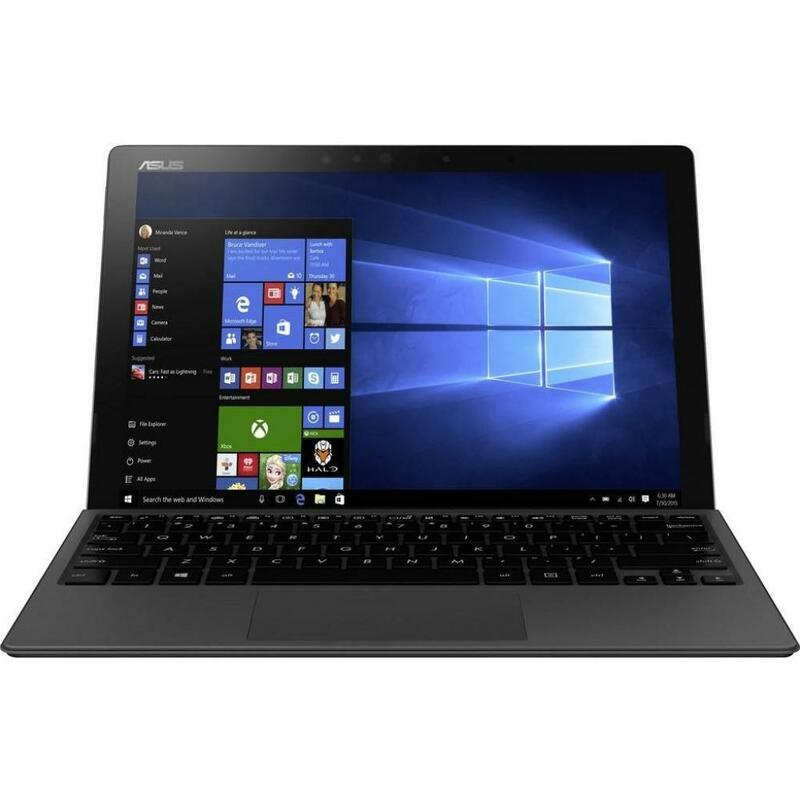 UX390UA-GS053R Ноутбук ASUS Zenbook UX390UA (UX390UA-GS053R) 12.5', FullHD (1920 х 1080), IPS, Intel Core i7-7500U (2.7-3.5GHz), 16 ГБ, отсутствует, 512 ГБ, Intel HD Graphics 620, No ODD, Bluetooth, Wi-Fi, Windows 10 Pro, 6 cell, 0.92 кг, Rose Gold 12 мес. UX390UA-GS059R Ноутбук ASUS Zenbook UX390UA (UX390UA-GS059R) 12.5', FullHD (1920 х 1080), IPS, Intel Core i7-7500U (2.7-3.5GHz), 16 ГБ, 1 ТБ, Intel HD Graphics 620, No ODD, Bluetooth, Wi-Fi, Windows 10 Pro, 6 cell, 0.92 кг, Grey 12 мес. UX410UA-GV044R Ноутбук ASUS Zenbook UX410UA (UX410UA-GV044R) 14', FullHD (1920 х 1080), IPS, Intel Core i7-7500U (2.7-3.5GHz), 16 ГБ, 1 ТБ, 256 ГБ, Intel HD Graphics 620, No ODD, Bluetooth, Wi-Fi, Windows 10 Pro, 3 cell, 1.4 кг, Grey 12 мес. 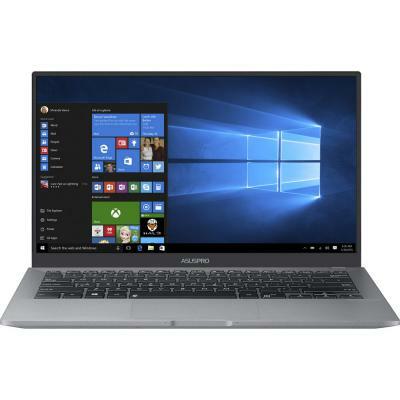 UX430UA-GV318R Ноутбук ASUS Zenbook UX430UA (UX430UA-GV318R) 14', FullHD (1920 х 1080), IPS, Intel Core i7-7500U (2.7-3.5GHz), 16 ГБ, отсутствует, 512 ГБ, Intel HD Graphics 620, No ODD, Bluetooth, Wi-Fi, Windows 10 Pro, 3 cell, 1.25 кг, Grey 12 мес. UX430UN-GV027T Ноутбук ASUS Zenbook UX430UN (UX430UN-GV027T) 14', FullHD (1920 х 1080), IPS, Intel Core i7 8550U (1.8 - 4.0 ГГц), 16 ГБ, отсутствует, 512 ГБ, NVIDIA GeForce MX150, 2 ГБ, No ODD, Bluetooth, Wi-Fi, Windows 10, 3 cell, 1.3 кг, Blue 12 мес. UX430UN-GV043R Ноутбук ASUS Zenbook UX430UN (UX430UN-GV043R) 14', FullHD (1920 х 1080), IPS, Intel Core i7 8550U (1.8 - 4.0 ГГц), 16 ГБ, отсутствует, 512 ГБ, NVIDIA GeForce MX150, 2 ГБ, No ODD, Bluetooth, Wi-Fi, Windows 10 Pro, 3 cell, 1.3 кг, Grey 12 мес. UX430UN-GV043T Ноутбук ASUS Zenbook UX430UN (UX430UN-GV043T) 14', FullHD (1920 х 1080), IPS, Intel Core i7 8550U (1.8 - 4.0 ГГц), 16 ГБ, отсутствует, 512 ГБ, NVIDIA GeForce MX150, 2 ГБ, No ODD, Bluetooth, Wi-Fi, Windows 10, 3 cell, 1.3 кг, Grey 12 мес. UX430UN-GV046T Ноутбук ASUS Zenbook UX430UN (UX430UN-GV046T) 14', FullHD (1920 х 1080), IPS, Intel Core i7 8550U (1.8 - 4.0 ГГц), 16 ГБ, отсутствует, 512 ГБ, NVIDIA GeForce MX150, 2 ГБ, No ODD, Bluetooth, Wi-Fi, Windows 10, 3 cell, 1.3 кг, Rose Gold 12 мес. UX430UN-GV048T Ноутбук ASUS Zenbook UX430UN (UX430UN-GV048T) 14', FullHD (1920 х 1080), IPS, Intel Core i7 8550U (1.8 - 4.0 ГГц), 16 ГБ, отсутствует, 512 ГБ, NVIDIA GeForce MX150, 2 ГБ, No ODD, Bluetooth, Wi-Fi, Windows 10, 3 cell, 1.3 кг, Gold 12 мес. UX430UQ-GV156T Ноутбук ASUS Zenbook UX430UQ (UX430UQ-GV156T) 14', FullHD (1920 х 1080), IPS, Intel Core i7-7500U (2.7-3.5GHz), 16 ГБ, отсутствует, 512 ГБ, NVIDIA GeForce GT 940MX, 2 ГБ, No ODD, Bluetooth, Wi-Fi, Windows 10, 3 cell, 1.25 кг, Blue 12 мес. UX430UQ-GV223R Ноутбук ASUS Zenbook UX430UQ (UX430UQ-GV223R) 14', FullHD (1920 х 1080), IPS, Intel Core i7-7500U (2.7-3.5GHz), 16 ГБ, отсутствует, 512 ГБ, NVIDIA GeForce GT 940MX, 2 ГБ, No ODD, Bluetooth, Wi-Fi, Windows 10 Pro, 3 cell, 1.25 кг, Grey 12 мес. Курс 1 = 27 грн. ASUSTeK Computer Incorporated (ASUS) - компания, расположенная на Тайване производящая компьютерные комплектующие и ноутбуки. По итогам 2010 года входит в 10-ку самых крупных поставщиков в мире. В 1-ом квартале 2011г. отгрузили 4160 тыс. штук и заняли 6-е место по колличесву огруженных штук в мире. Ноутбуки Asus отличаются надежностью и изяществом внешнего вида. По ассортименту (количеству моделей) занимает первоем место в нашем регионе. В ассортименте компании есть большое количесвто нетбуков, сечас выпусаются планшетные ПК и всемозможные трансформеры (смесь планшетного ПК и нетбука). Компания всегда максимально быстро внедряет новшества компьютерных технологий в свои модели. Компания предоставляет 1 года гарантии на все бюджетные модели. На дорогие лэптопы гарания 2 года. Широкая сеть сервисных центров. Ноутбуки Asus в Одессе одни из самых продаваемых лэптопов в регионе. © Интернет магазин «Ноутбуки в Одессе». Продажа ноутбуков asus в Одессе. Широкий выбор, низкие цены, гарантия, доставка.